Moving long distance can be fun and exciting, but also frustrating and stressful if you’re doing it by yourself. So let our professional and experienced movers help relieve some of that stress and let you focus on the fun and excitement of your upcoming moving adventure. Whether it be your dream house, relocating for an exciting new position, or just a much-needed change of scenery, we can help to make your life less complicated without having to worry about the big move. Van Lines USA is your one-stop shop for all long distance and interstate relocations! 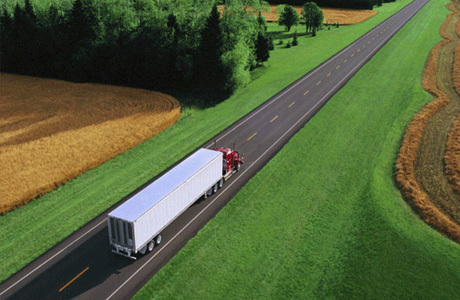 There are many things to consider about a long distance move, such as what size truck do you need, what is the best route to get there, how long will it take. We can give you an estimated date for the delivery of your long distance move and assure you that all your belongings will get there safe and secure. Van Lines USA will box, bubble wrap, and tape all of your belongings quickly and securely, as well as unwrapping and unpacking of all boxes upon delivery for an additional fee. Van Lines USA Will disassemble and reassemble furniture, which is included in the moving costs. We will reassemble any furniture as long as it was disassembled by our moving crew. Be sure to notify your moving consultant prior to your move day of all the furniture pieces you have that will need to be disassembled. For your added protection and peace of mind, Van Lines USA works with MovingInsurance.com, who can provide moving insurance packages that fit your budget while protecting your most valued belongings. Van Lines USA DOES NOT charge extra for carrying your furniture or boxes up or down for the first flight of stairs or up to 75 ft of long-carry. However, additional rates will apply for additional carry, so if you live on a 5-story walk-up, be sure to notify your moving consultant prior to your move day. © 2019 Van Lines USA Moving & Storage. All Rights Reserved.